Losing someone close to us can be tough. Families must figure out how to go on without their loved one, but at the same time may be faced with the added worry of paying for a funeral. This is something many of us don’t think about until we need to plan a service, meaning families are often shocked to learn just how much a funeral can cost. An average funeral in New Zealand can cost anywhere from $4,000 to $15,000, according to Dollar Insurance. This figure consists of everything from handling the remains to burying the body. However, given how quickly funerals are put together and a general lack of pre-planning, it can be hard for families to know if they’re paying for items they don’t want or need. Funerals are often put together on short notice. As a result, families may not be able to compare prices from one funeral home to another. One way you could help is by doing a bit of “shopping around” for them. 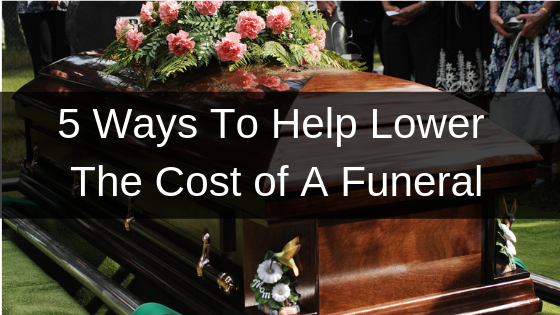 Ask local funeral directors for pricing, even if it’s just an estimate. If you find a funeral home you’re comfortable with—both the price and management—tell your family. That way, they’ll know where to go when it comes time to arrange the funeral. 2. Choose cremation over burial. A traditional burial can be expensive. Depending on where you’re buried, a cemetery plot and council burial fees can range from a few hundred dollars to several thousand. Plus, there are other things that typically go along with burial that can add up. Doing the deceased’s hair and makeup for an open casket, the coffin, and a headstone. Alternatively, cremation could be more affordable. This may cost less than $1,200 and remove the need for a headstone if the ashes are scattered. Whether you decide to be buried or cremated, asking that your body not be embalmed could save your family hundreds of dollars. Embalming is a process used to preserve the body and help make it presentable for viewing. However, it’s typically only required in cases of infectious disease. If you prefer a closed casket funeral, there may be no need for this extra step. 4. Skip the fancy upgrades. Like any businesses, funeral homes need to make money. There are many trustworthy funeral directors out there, but unfortunately some do try to sell grieving families on fancy upgrades. Writing down your funeral wishes, including specifying anything you don’t want, could help your family save some money. This could include asking them to choose a simple casket instead of a “gasketed” one, only holding one ceremony at the graveside or saying no to flower arrangements. 5. Consider a funeral insurance policy. Even if you take the steps above, the final funeral bill your family receives might still be more than they can afford, especially if they need to come up with the money on short notice. This is where funeral insurance might be able to help. A policy could help your family pay for a service and anything else they may need at the time. This could be a quick and affordable way for you to help fund your funeral and remove some of the financial burden from your loved ones’ shoulders. Planning a funeral can be stressful for a family, but helping control the costs could make it easier for them to say goodbye in peace. Taking steps like pre-planning, choosing how you’d like your remains to be handled or getting funeral insurance may be a smart move for people over 50.